Very often I am asked questions along the line of “How can I get started?” or “What sort instrument should a beginner buy?” These are questions that don’t have pat answers, but they can start great conversations. David Maust, a piano accordion player who is considering the intensity of diatonicity, began such a conversation via e-mail a few months ago. Enjoy. I began reading your blog a couple months ago and have really enjoyed it. Thank you so much for taking the time to write your thoughtful interviews, posts and put up videos of yourself. I also love the resources as well like the tunebooks. 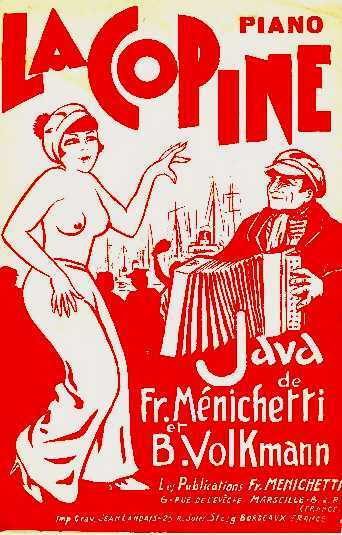 Your site has helped both French folk music and the diatonic accordion become much more accessible for me and I was very excited to find it. I have a question for you, and I understand if you are busy and may not have a lot of time. If so, no worries, but still, I just have to ask. What is the experience of playing the diatonic accordion compared to a piano accordion? How does the instrument affect the music, especially for playing French folk dance tunes? I’m aware the answer to this question may be obvious to most diatonic accordion players, but I ask because I am trying to decide whether this is an instrument I want to buy; I’m just not sure yet if this is an investment that is the right one for me. I’ll give a little background so you know where I’m coming from. Right now I have a nice 60 bass piano accordion that I have been playing for about 10 years (it’s a German made Castiglione that has a nice musette setting and also a low set of reeds that I like the sound of too, especially when played dry with an upper register reed – in all it has 5 switches but I usually play the musette switch). It is a nice size compared to a full size accordion, but it is still much heavier than a diatonic accordion. I have played piano all my life and also enjoy playing the Hammond organ, so about 10 years ago when I wanted to start playing the accordion, this was a good choice for me. I was able to learn fairly quickly and have had much enjoyment from playing it. I use it to play French and Italian folk tunes and dances (and American folk tunes too – I also really like American folk music). I got interested in French folk music about 12 years ago by accident. A friend and I decided to try our hands at building a hurdy gurdy after I had successfully built a mountain dulcimer in my dad’s wood shop. After we built two symphonie hurdy gurdies (those are the box shaped, diatonic Medieval types), we attended a hurdy gurdy festival put on my Alden and Cali Hackmann in Washington State. There we were introduced to a lot of people who loved French folk music (although there weren’t any diatonic accordion players when we went). I also purchased a tunebook of Ad Vielle Que Pourra at one of their concerts and it has been one of my favorite songbooks since for playing accordion. My friend too ended up being deeply impacted as a result of this as well because he ended up spending a couple years as an apprentice with the Hackmann’s, and built a beautiful chromatic hurdy gurdy in their shop for himself over that time. For me though, since that time, the accordion has been much more of a favorite instrument than the hurdy gurdy. And I suppose I’ll be happy enough continuing to play my piano accordion, but there is just something about diatonic accordion that I feel I will love in a whole different way. I also feel I would have a good feel for it since I have played harmonica for many years and successfully messed around on my friend’s concertina. OK, I’ll stop there; that’s more than I intended to write, but I wanted you to have an idea of where I was coming from. Purchasing an expensive instrument is a big deal for me, and the time commitment of learning a new instrument is too (I’m a teacher and have two kids of 6 and 4 with another on the way, so there isn’t lots of “down-time” for practicing around my house), so thinking about getting a diatonic accordion is something I’ve been reading and thinking about for a while. Thanks again for taking the time to share your experiences on your blog, and for sharing your love of this instrument and music! Thank you for your kind words! The blog is a joy of mine, along with the music. Of course you should buy a diatonic accordion. You ask about my experience with button accordions and piano accordions. I haven’t played piano accordion but I think you can do a perfectly fine job of playing this repertoire on the piano accordion or (more commonly) the chromatic button accordion. Auvergne, especially, has a substantial CBA tradition. I generally think of CBA and PA in the same category, since they both are fully chromatic, have the stradella bass, and don’t have the diatonic push/pull thing. I can tell from your note that you have the fascination. Building hurdy gurdies? This is more than you wanting to play the repertoire … this is having a relationship with the physical instrument. I understand the concern about money. I was a teacher for 12 years and have five kids, and that’s a legitimate concern. I would not be concerned about the time spent to learn, because I get the sense that you enjoy every step of the learning curve — you aren’t practicing so that one day you can play. You’re playing right from the beginning. I guess if you want to be utilitarian about it, you could ask yourself what it is you get out of music, and what you would like to get out of it. If getting a diatonic fits with your goals, then it’s worth it. In my own case, my goals have led me to divest myself of other instruments, and concentrate on the diatonic box. But it’s also led me to stretch out into non-trad keys (F/Bb/Eb) because I’ve started playing with a singer. Thank you for the thoughtful reply! You have given me a lot to think about and I appreciate the invitation to continue the conversation. I especially liked listening to the various renditions of “On d’onderon garda” that you posted. I agree that the various instruments give the music a very different feel, and think what you say about the CBA and PA tending toward fluidity and complexity is true. I didn’t realize the CBA had such a strong presence in the Auvergne music, but I can see how this would have bridged the Bal Folk to the Bal Musette. I love the sound of the CBA recording, but I also really like the one on the [Castagnari] Giordy. And really, for some reason the less adorned Giordy version seems to fit more what I feel is my own personality as a musician. I really love simplicity and maybe that is why I feel drawn to a diatonic box. I think I have always felt musically more at home in playing in a diatonic mode, even on chromatic instruments. Maybe this also comes in part from playing different diatonic instruments like the mountain dulcimer and harmonica. I feel that I put the love of those instruments into my playing of chromatic instruments like the piano, organ and piano accordion. I mentioned in my last email that I have liked playing from an Ad Vielle Que Pourra songbook on my PA. There is something so different about how the tunes feel on my PA and the sound of the recordings of the band with the diatonic accordion. Of course the musicians are so well accomplished, but the instrument itself too is just different and that keeps my interest in looking at the diatonic accordion. Also the lighter weight of the diatonic is something I know I would like. When I bought my 60 bass PA I downsized from an extremely heavy Titano 120 bass and that made a great improvement in my comfort with the accordion (and my 60 bass still weighs about 16 pounds). I appreciate what you say about enjoying the process of learning the instrument. This is true for me. I’m not really concerned with reaching a goal of ability, although it is always nice to improve, but the satisfaction from playing is of much more value to me. I’ve always felt I’m a bit of a slower learner, but I really enjoy, and deeply remember the process. I have so many memories over my life of playing music in different places, situations and with different people, and there in lies the richness of music for me. I sense you approach music in the same way and I appreciate your causing me to reflect on this. As far as monetary investment goes – is there a particular box you would recommend for someone on a budget? I noticed The Button Box’s most economical diatonic accordion is the Hohner Panther, and I’ve read a lot of favorable reviews, but I’m not yet sold. I really would like to try and save for a higher quality instrument. I’ve always felt that one should get the best instrument one can afford, and that has certainly proved true for me in playing the accordion I have. I just love hearing it every time I play it; it always seems worth the money I spent on it. Have you ever played a Panther? I also remember reading that you started with a Hohner Corso. Do you like the Hohners? They seem a little more affordable than some of the other brands the Button Box carries. I wish I had a place like the Button Box close by where I live and I could try out different boxes. Watching different videos is helpful, but it’s nothing like actually playing the instrument. NEXT POST: David takes the plunge! What will he choose?